It's taken AMD some time to fully transition its original GCN GPUs from the HD 7000 series to the new family that also incorporates the Hawaii-based cards, but this review completes our look at the AMD Radeon R7 and R9 200-series from the R7 260X all the way through to the mighty R9 295X2. Despite being announced a while ago with little fanfare, the R9 280 (a rework of the HD 7950 Boost) is fairly new to the market, with stock only recently arriving at retailers (and our labs). The cheapest we've been able to find it for is £175, but with the R9 280X hovering around £200, even £190 in a few places, it's fairly closely priced to existing SKUs. 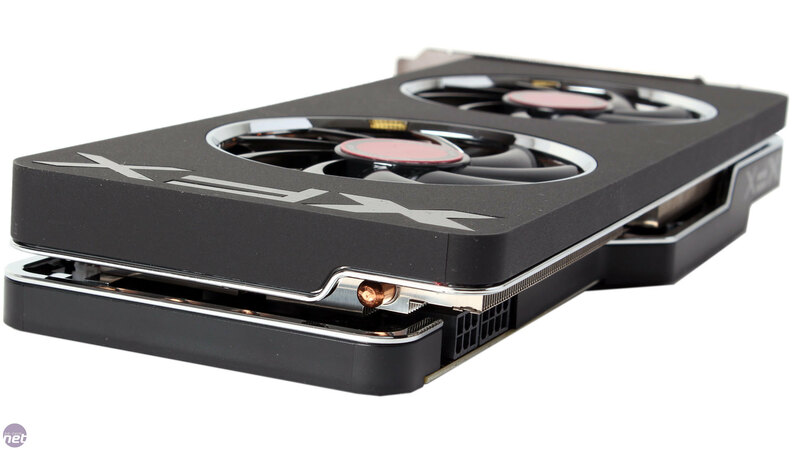 The GTX 760 is Nvidia's closest card, and it can be found for around £165. 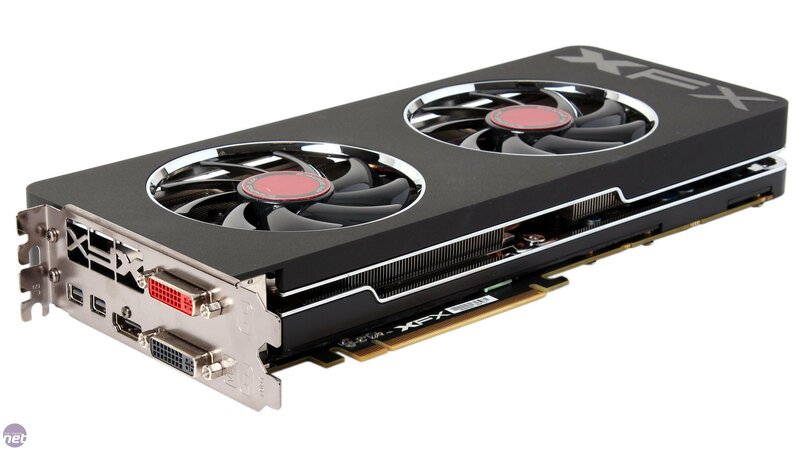 Specifically, we've been furnished with the XFX Double Dissipation Edition, which also happens to be the least expensive R9 280 on sale as far as we can see – always a good start. XFX also sells the DD Black Edition, which has the same design but ships with core and memory overclocks. In the box you'll find a dual molex to 6-pin PCI-E power adaptor, and a dual 6-pin PCI-E power to single 8-pin PCI-E power adaptor, so you should be able to find a way to wire everything up even if your PSU is a little sparse when it comes to spare connectors. The matt black finish on the plastic shroud along with the chrome trim around the sides and edges of the fan cutouts makes for a fairly sleek looking cooler card. As you can see, the shroud is not completely sealed, which gives you a glimpse of the heatsink within as well. There's a cutaway section along the top edge of the card where the power connectors are – the design is fairly understated but attractive nonetheless. As a reboot of the HD 7950 Boost, the R9 280 comprises a 28nm Tahiti Pro2 GPU with 2.3 billion transistors and a 352mm2 die size. Inside are 1,792 and 112 active cores and texture units respectively, courtesy of the GPU's 28 Compute Units, and these are rounded out by 32 ROPs. At 933MHz, the R9 280 has a fractionally higher core boost speed than the HD 7950 Boost's 925MHz. The GPU is paired with a 3GB GDDR5 frame buffer over a 384-bit memory interface thanks to the six 64-bit memory controllers. The clock seed of 1.25GHz (5GHz effective) carries over form the HD 7950 Boost and gives the card a maximum memory bandwidth of 240GB/sec. There doesn't appear to be a strict reference design for the R9 280, as AMD never sampled it, so you'll likely find custom PCBs as well as slight variations in power delivery and video outputs. You should also be wary when buying full-cover waterblocks. 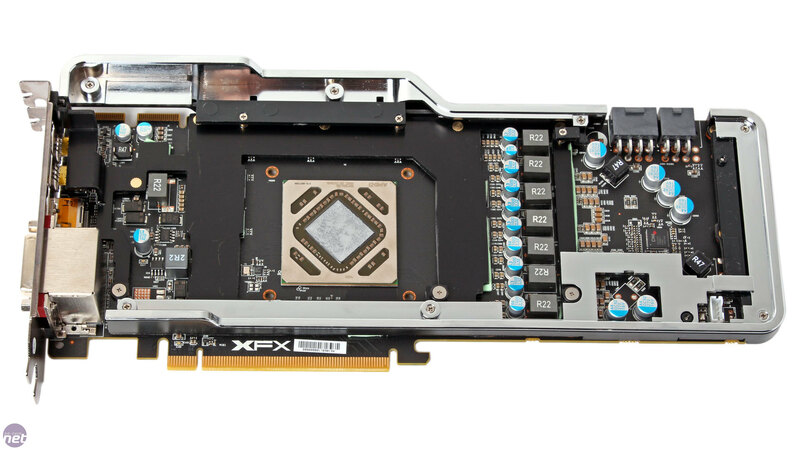 XFX has opted for a 6-pin/8-pin PCI-E power plug combination, whereas the HD 7950 Boost originally only had two 6-pin plugs.